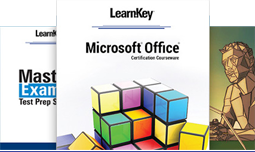 For over twenty-five years, LearnKey — one of the technology-based training industry pioneers — has continuously evolved its delivery model to provide award winning, in-depth and engaging interactive learning. This all-in-one safety solution includes access to a comprehensive library of hundreds of safety training courses, created by subject matter experts and leading safety training providers from across Canada and the U.S.
All courses are available on-demand and are instantly accessible. Most include a certificate of completion upon achievement of the required pass mark. Since their inception in 1994, Nevada Learning Series has championed technology adoption as the key to a winning software deployment. Nevada has enabled hundreds of thousands of employees to benefit from their initiatives – which has allowed our client partners to save millions of dollars in support costs. Nevada’s continued success is due to their guiding philosophy – the users come first. Nevada is proud of their reputation as leaders in the IT change management space, and of the tens of thousands of projects that they have been involved in. Do you need custom eLearning courseware? Or maybe you’re ready to move your existing training online. We specialize in creating SCORM-based, fully accessible, Custom eLearning Courseware that can stand alone or be integrated into a Learning Management System. Our experienced Education eLearning Products specialists have the right expertise and over a decade of success in online learning for the educational sector at the K–12 and Post-Secondary levels. We specialize in creating exemplary regulatory, technical, managerial and college level training. We understand your questions and concerns, and we can build you a Custom eLearning solution. We Turn Knowledge Into Action!